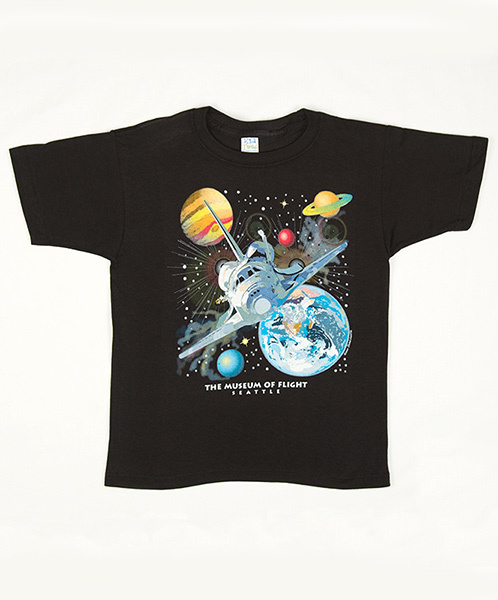 The Space Frontier youth shirt is a black, 100% cotton tee with a wraparound space graphic. The front of the tee shows the space shuttle with Earth and the other planets in the background. The back of the shirt shows an astronaut in space with the international space station in the background. The shirt comes in youth XS-LG.